This Duderstadt Center exhibition showcases current projects that translate information or expressions into new media, engaging emerging technologies that are accessible to the U-M community at the Center. The exhibition's featured installation comprises a single drawing by Schulte and a quadraphonic sound installation by Dewar that sonifies and orchestrates real-time brainwave and electrodermal bio-data generated by Schulte as he produced the displayed drawing. 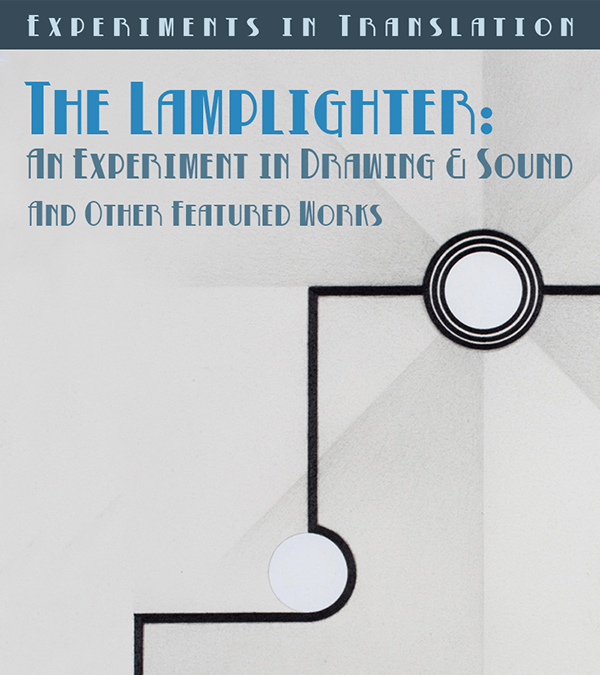 Audio recordings from a piezo microphone attached to Schulte’s drawing board, and a device which captured the electromagnetic sounds generated by his electric pencil sharpener also appear as both treated and untreated sound objects. Description: In collaboration with the fourth cohort of the master's of integrative design (C4) in the Stamps School of Art, Maisie Gholson's project under development endeavors to make visible the experiences of young Black girls in mathematics classrooms. Black girls in mathematics education operate as an invisiblized demographic, who are often relegated to margins within educational research. This work uses binaural audio (3D sound) to construct the meanings of Blackgirlness and mathematics for two young Black girls, known to the listener as Shawna and Mia, during a short walk through the school hallway. Future work entails the development of mathematics classroom-based scenes to support beginning teachers in hearing the complexity of young children's identity construction as mathematics learners. Description: Costume designer Christianne Myers' project in progress is a partnership with the U-M BioArtography program to design and create textiles using images of cells. Additionally, using these images, she is learning new digital fabrication techniques to integrate into course work next year. Future projects include using repeating patterns in astrophotography, flora, and cells as a prompt for creative work. Working with her this term are Hannah Winkler, BFA '22 and Imman Suleiman, Masters candidate in Taubman College of Architecture and Urban Planning. In this exhibit: help match the repeated patterns found in nature: Xray Flowers and BioArtography. More at Experiments in Translation. An interactive artists talk with Andrew Dewar, Christianne Myers and Maisie Gholson, our featured artists from "Experiments in Translation".